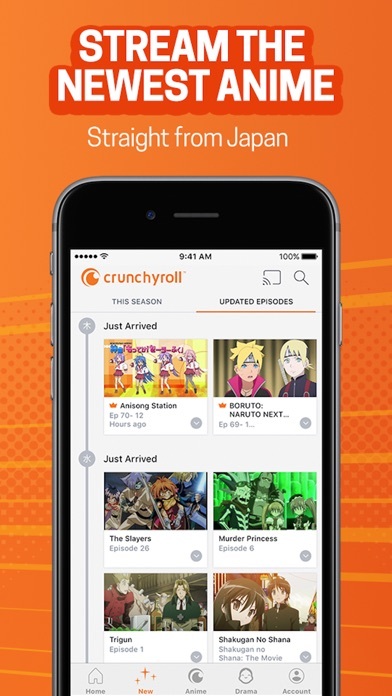 I give a five I it’s really wonderful you could all the anime just on this one app but they I don’t like is the ads there too long and I just wanna watch the anime so that’s the only thing I have a problem with. There is a lot of awesome content but wayyyyyy too many adds. In one episode there like 5 pretty long adds. It would have been 5 stars if it was one add at the end of each episode. Get ready to sign in every time you want to watch anything, start each episode 6 minutes from where you left off and too close out the video each time you leave the app. I have a paid up premium membership and still get 15 minutes of adds per hour. Tried talking to Itunes and Apple. Not their problem. 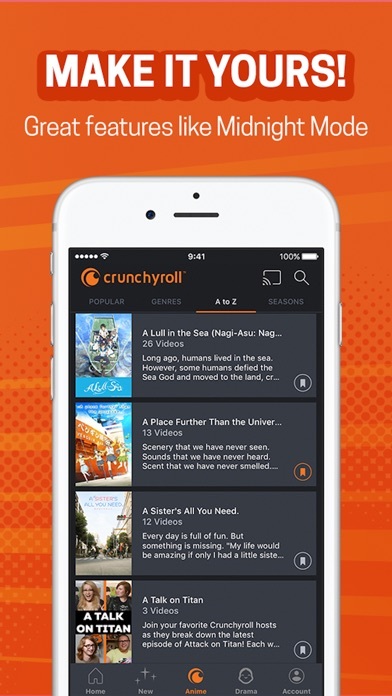 Crunchyroll doesn't own a phone and the web site is useless. I'm going to cancel my prescription and watch for free. Somewhere else. Netflix here I come. why do we have to pay for everything? By owo great game man ! 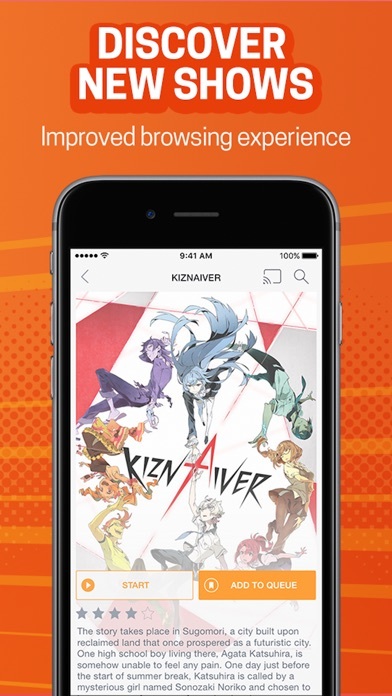 One of my friends actually recommended this app, because she watches her anime on this app. She kept on describing how great Crunchyroll is. But, once I got into the app, made my information, immediately my screen was sent to in app purchases. I didn’t want to buy those things, so I declined, and went off to watch anime. 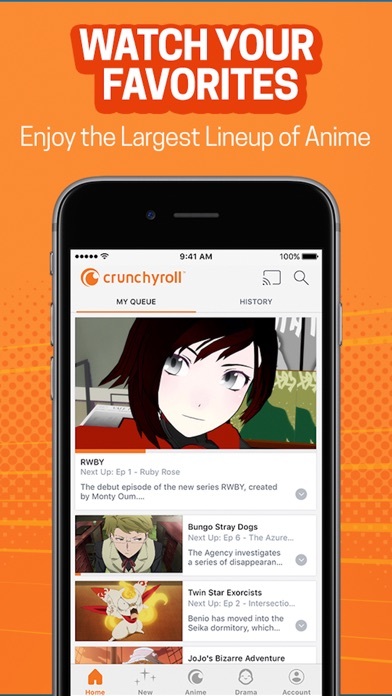 I tapped on the first episode, and got an ad. Like, seriously? In order to get rid of the ads, you have to buy something? Why couldn’t it just be free, because some of your downloaders (including me) are not able to purchase something like that. Secondly, the app somehow crashed. I don’t know what it was, or if it was just the bad app quality. I’m convinced the devs made the app god awful on purpose if you don’t pay. Before each episode there are 6 of the same two or so ads that repeat and take for ever to load. They are pretty short, but after half an hour I’ve memorized them because of the sheer repetitiveness. It saves your progress on an episode awfully, and there are ads every 7 minutes or so. If this wasn’t the only way to finish a show in watching, I’d delete it, re download it just to feel the satisfaction of deleting it again.